Okay, I admit it. I am a Star Trek fan. I spent years in the closet, trying to pretend to be normal. Admitting to being a Star Trek fan is pretty much the kiss of death in certain social circles. However, I've just about given up on getting in with the cool crowd. So here goes: this is my confession. I am a Trekkie. Yes, I know that self-respecting people call themselves Trekkers, not Trekkies. But I have no pride! Not only that, but I am a Trek filker, which is possibly the most loathed designation of all. I am the kind of person that not only watches that show, but then has the gall to write songs about it. When I finally found a group of Trek aficionados in the 1980s, they weren't just Star Trek fans. They weren't just science fiction fans. They were -- gasp -- filkers. And having fallen in with the wrong crowd, I promptly wrote my first filk, which was about T'Pring, from Amok Time. 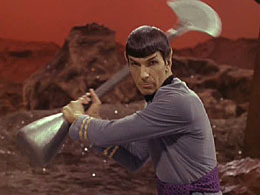 Spock battles Kirk -- to the death! Based on Lerner & Loewe's "The Simple Joys of Maidenhood"
'Tis I, T'Pring, I'm all alone. I'm over here beside this stone. I'm unemotional, prim and staid. You are aware that I have never strayed. My vow I shan't fulfill. And liefer will I kill! The rules that govern the Ponn Farr! When every problem could be solved by death? Genetics then was never left to chance. Will these brave and simple ways return no more? As ordered in our old primeval lore! Then none survived but Vulcan's best. Oh, would that it were still! Where are the simple days of violence? To revive the old tradition I will dare! But I have need of Stonn, so him I'll spare. Julie Andrews sings "The Simple Joys of Maidenhood"
Having dashed off this brilliant rip-off of a pre-existing song, I rushed back to the filksing, and I tried to get our best keyboardist, Larry, to play it. Larry said: "I can't play anything without the sheet music." Okay. I was living in the Dallas Fort Worth area at the time. There were plenty of music stores. Even though I couldn't afford it, I bought the sheet music to Camelot. The next week, I showed up at the filksing again. This time Larry played the music, but he refused to sing the words. Maybe it was because he wasn't a soprano, and his falsetto was not up to speed. I was disappointed. I couldn't get anyone to sing that song. Not then. Not ever! That's kind of what happened with every filk I wrote thereafter. It's a common phenomenon at filksings. Even if you can sing and play your own songs, which I can't, you have trouble getting a turn. Suzette Haden Elgin even wrote a song about it: Song at the Ready. Yolanda Del Rio sings "La Hija de Nadie"
One of my favorite filks that I wrote from that era was "The Misbegotten", based on the animated episode "Yesteryear." It was to the tune of "La Hija de Nadie", and I couldn't even find the sheet music to that. It was a popular song by Yolanda del Rio. For years, nobody could even attempt to sing the "The Misbegotten", because nobody knew the tune. However, I just recently discovered that Yolanda del Rio's best songs are now available on YouTube! In this new era, anything is possible! I lie down in the garden amid grass and fern. My sehlat beside me is lying. Footsteps sound, Sarek comes, grim and stern. I'm sure he suspects me of crying. They shouted "barbarian!" They said even worse things. They claimed I'm a Terran and dubbed me an earthling. "Spock, being Vulcan means meeting the test. "We demand much of both mind and body. "You rebel, but you know that our way is best. "You brawl like a deckhand; your school work is shoddy." "It's true, O my father, I started the fight. "They say I'm a Terran, perhaps they are right!" "To try out your strength and strive to prevail. "You are my son, you'll avoid a disgrace." "Father, but what if I fail?" Children who taunt speak the truth unawares. The flaw is in me, and the fault is not theirs! 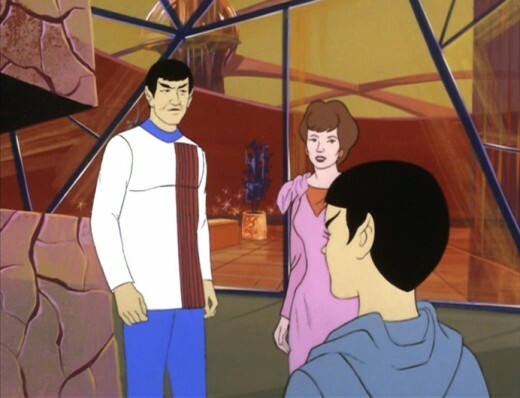 Spock, Sarek and Amanda in "Yesteryear"
Mingled green blood with red, race with race. To my conception they never gave thought. Now they reject the flawed work that they wrought! Sarek is stoic and very demanding. To display of emotion he sternly objects. And muse on the sterling example he sets. I can't walk in your footsteps. Mine's another dream. Kind, loving and tender is mother. 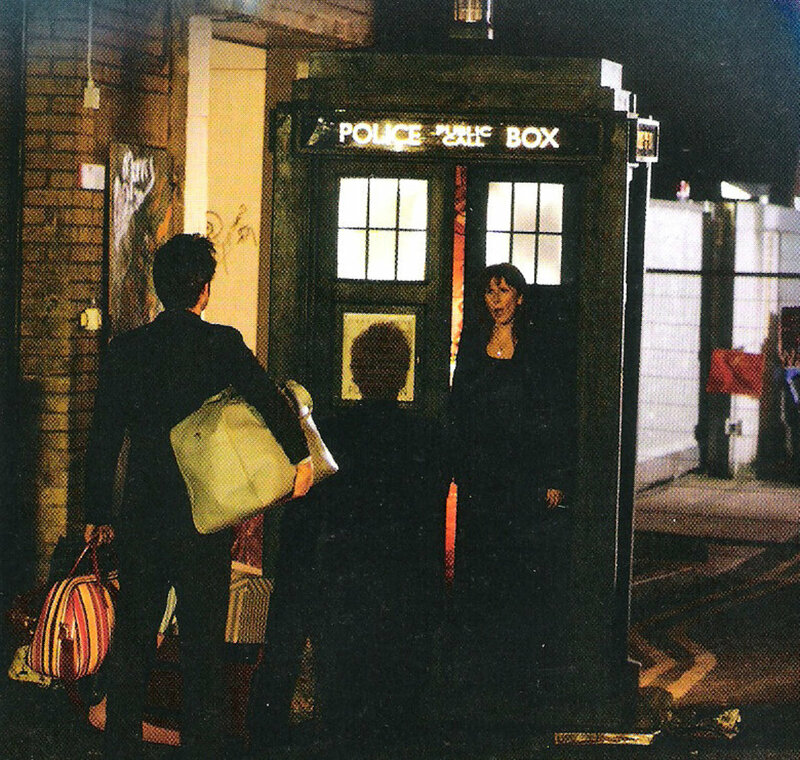 And she wants her affections returned. Yet she swore to behave like a Vulcan for Father. How much of my love has she earned? I'll be tight-lipped and closed to maternal appeal. She who bids me obey must not know that I feel. But someday I'll leave them and never come back. And within, more human than all those on Earth. To find home and friendship in some foreign place. Leslie Fish sings "Banned from Argo"
But enough about my Star Trek filks. "What sorts of Star Trek songs were being sung around the bardic circle in those days?" you are probably wanting to know. One of the most popular was "Banned from Argo" written by Leslie Fish. It's a great song, but if you run into Leslie Fish in the con suite late at night, don't ask her to sing it. She's tired of it. It's kind of like Bob Dylan and "Blowin' in the Wind." When I joined the filking community, The Wrath of Khan had just recently come out in theatres. Around the bardic circle, many of Julia Ecklar's songs based on that movie were being requested and sung. I've included YouTube videos of the best three below. These were great songs, and they have aged well. They aren't only for Star Trek fans and they are not just about the The Wrath of Khan. Their subject matter is universal: love and friendship, death, loss and mourning and the thirst for revenge. Who hasn't experienced these feelings at one point or another? Today, I don't go to science fiction conventions and filksings. I am locked in a cage with a chimpanzee twelve hours a day with only a computer screen as my window on the world. But Bow and I still listen to Julia Ecklar singing about Khan! How Is the Relationship Between Society and Technology Explored in Star Trek? Patty, thanks for your encouragement! But who will sing it? Not being a singer myself, I am always at the mercy of performers to help promote my lyrics. Will you sing it at the cons? I'd be most grateful. Up up up up up! Great filk ready to go to sci-fi conventions and earn big bucks with a new CD! Sunshine625, great to meet another Star Trek fan! MystMoonstruck, you obviously have a lot to say and many valuable experiences to share. I look forward to reading what your write, both on HP and on PubWages. I will consider it. I guess I have trouble with self-confidence though not in the mechanics of writing; I keep doubting that I have something to say that hasn't already been said a thousand times or more on the Net. So far, on my pages, I'm merely collecting material. That's just dipping my toe in the pool, so to speak. I need to work up my courage. My mother teases me about getting on my soapbox at times, ranting and venting about various topics. But, it would be more enjoyable to reminisce about conventions and events. I might see what I can come up with. Money definitely would be nice, as I am on Disability. MystMoonstruck, there isn't anything on PubWages yet that lies within your chosen areas of expertise -- but that is only because you have not written there yet! The purpose of PubWages is to let people express themselves. Whatever someone feels passionate about, or wants to share with the world, is what they can write about. I believe it should be possible to write what we want and also profit by it -- and that the "suits" are wrong, not just because they don't understand art, but because they also don't understand people and the marketplace. Have you read "Star Trek Lives" by Jacqueline Lichtenberg, Sondra Marshak and Joan Winston? It was through reading their book that I was introduced to the writings of Ayn Rand when I was fourteen. I believe there is a market for well crafted writing on any topic, and that those who try to talk down to readers and viewers are short-sighted, not just as patrons of the arts, but as businessmen. When I first joined Hubpages, there was a tension between hubbers who wrote in order to express themselves and those who wrote in order to make a buck. I firmly identified with the first camp against the second, which was in the midst of "thirty day challenges" aimed at getting people to write as many shallow, meaningless articles as they could in a month, in order to generate revenue for themselves and HP. I thought that was a bad idea, even though, of course, they had every right to do that. However, with time, I also met some internet marketers who were good people and who taught me a thing or two about what is going on in cyberspace, including the commercial angle. The Panda update is viewed by some as a just retribution for low quality writing predominating on HP. I don't necessarily think that. I think there is a lot of good stuff published on Hubpages, but fewer and fewer readers are able to find it. Write about your fandom experiences on PubWages. I'll help you find the readers, and together we can make some new fan friends, and maybe even earn a little in the process! I'm not at all certain what I could offer on PubWages. I looked at the subject matter there, and nothing of my own comes to mind. I tend to suppose that others have all the expertise there is when it comes to various topics. If I ever think of anything worthwhile, perhaps I can participate. Yes, no matter what we deal with in life, profit rules it. Whether it's a TV series or my Heaven on Earth (Bristol), the "suits" rule. They generally cannot understand the magic that draws us to these things. MystMoonstruck, the tension between the motives of the TV executives and the desires of the true fans (or fen) is still with us today in the world of internet publishing. There are those who care about the content of the article, and those who care how it converts into profit, and there is even the belief that if the article is too good, it will generate fewer sales than if it were shoddy! Anyway, welcome to Hubpages, and I hope also to see you on PubWages and read some of your articles there. All of the elderly ladies were widows or married. I guess that "B&TB" was their first introduction to a fandom. Later, at Visions in Chicago, I encountered "Leapers", a specific group of older and even elderly women who were devoted to "Quantum Leap". 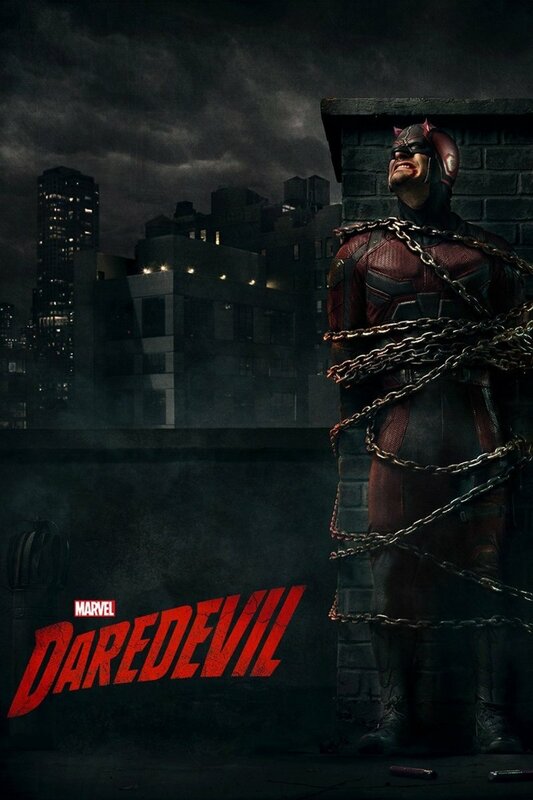 As with the Ron Perlman fans, it was just one show drawing them together, which I found interesting. Most people at cons are fans of numerous series, movies and/or literature. Yes, I am very aware that "B&TB" had many nuns who were devoted fans. I recall that one group kept track of every literary allusion, every quotation, and made the information available to others. This was before the Net as far as I recall or at least in the days when relatively few had access. It's truly sad that the show could not have been even more successful. According to Ron Perlman at STV, the executives were disturbed by the "underworld" and found the Tunnel People disturbing. They could not understand that the fans were fascinated by this world beneath the city and wanted more stories focused there. They wanted the cops-and-robbers sort of approach: Catherine is in danger, and Vincent rides the subway to the rescue! He said George R.R. Martin and other writers constantly battled to fit in what the fans wanted while trying to give the execs their action scenes. *sigh* If the character of Catherine had survived, I really feel that it would have given the show the strength to go on. While her tragic death fit the storyline, the removal of a pivotal character was too much for too many fans that were not quite as devoted as the rest of us. Yes, I joined HubPage two months ago when I started identifying movies on one of the pages. I was encouraged to start hubs and have been doing fairly well with two. As for Panda update and all: I have no knowledge of any of those things. Coming here was totally accidental while doing research at another movie-identification site. I've been on the Net since September 2007, so I'm a relative newbie, one who hasn't done a lot of venturing beyond YouTube and IMDb. Thank you for the invitation. I shall check out the site as soon as possible. I appreciate that this page has allowed me to revisit some wonderful memories, including people I've been fortunate enough to meet, learning that actors/stars are, for the most part, friendly, caring, personable people. I was astonished at the memory of some. Who would have guessed that Jimmy Doohan would remember my friend and I from the first year of Space Trek?! I've seen De Kelley call out to various people in the audience, happy to see them there. I've seen George Takei warming up for a run in the hotel lobby~along with dozens of people who planned to accompany him and a flock more who just came for the experience of watching all of them. *giggle* How I miss cons! MystMoonstruck, it's funny what the older Beauty & the Beast fans told you. Were they married or were they advising you from bitter experience? I read all about the Beauty & the Beast Fandom in a book called "Textual Poachers", which incidentally mentioned one of my filkbooks. It seems when the network was threatening to cancel the show, they were deluged by fan mail from nuns. "Is this who's watching this? Nuns?" the executives asked themselves. 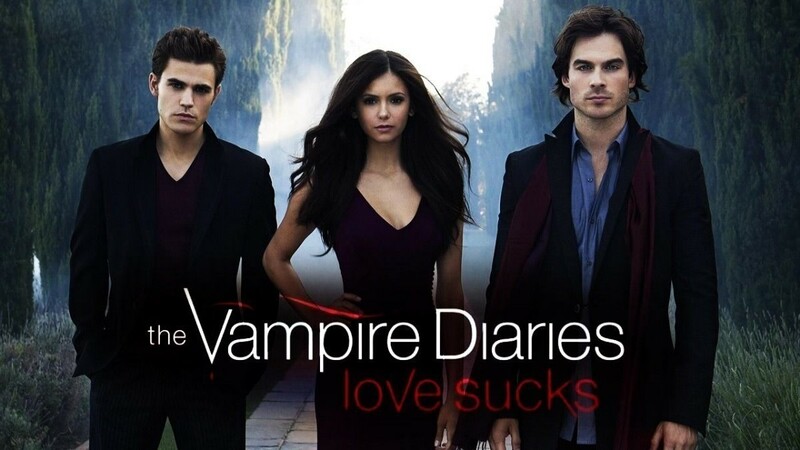 And they decided to make the show more action oriented, and when that did not go over well, canceled it. If the fan mail had been from monks, the show would have fared better. It is good to share fandom experiences. Have you just now joined Hubpages? They are going through a rough patch right now, because of the Panda update and being dumped on by Amazon. At Space Trek V, they had their first non-Trek-related guest: Ron Perlman, who then was starring in "Beauty and the Beast". We had more elderly ladies at the convention than ever before, all there for Mr. Perlman it seemed. I was seated among some of these ladies (who likely were about the sixtyish age I'm approaching). When I spoke enthusiastically of "Star Trek" and fandom, they cautioned me not to do that when around young men. "You'll never catch one that way!" more than one told me. I responded that, if he wasn't into the things I was, I didn't need him. My love of this genre is too deeply embedded, especially thanks to my film buff father who loved science fiction but died far too young, at 47, before he could see "Star Wars" and "Close Encounters of the Third Kind". I know that sounds silly, but I wish he could have lived long enough to see the revival of science fiction. As for me, I was born the year sci fi made its huge comeback with "The Day the Earth Stood Still", "The Thing from Another World", and "When Worlds Collide". I can't imagine my life without my love of SF/fantasy/horror and "Star Trek". I've written to penfriends throughout the world. I've had my art published in fanzines and displayed at cons. It even enters my music, as I've learned a number of Trek-related songs to play on my bowed psaltery. I love people puzzling over "Beyond Antares" and "Ilia's Theme" from "ST: TMP". It's wonderful to be able to share Trek talk and to remember conventions. Oh, the stories they provide us! I definitely will inform you if I ever learn of a convention in your region. Sadly, I haven't gotten to attend any conventions for a while. I also haven't been able to go to reenactment events or my favorite place in the world (besides home, which is No. 1): Bristol Renaissance Faire near Kenosha, Wisconsin. I go in costume (garb in faire-speak), and I even started wearing costumes at some conventions. MyMoonStruck, thanks for going to so much trouble to answer my question. I am much closer to Springfield, MO, than St. Louis, but all the conventions I've found in this area are for gamers. I'm sorry to hear about your health problems. I am proud to make your acquaintance, as one old-time Trekkie to another. I'm an Illinoisan, but St. Louis is only 100 miles away. I haven't looked for conventions for many years due to severe health problems and the accompanying lack of finances. But, I had a run of more than a decade of such conventions as Space Trek (five of them); Archon (for SF/fantasy writers and artists, with many celebrity guests); Hitchhiking to Gallifrey; Paradox; and Visions (every Thanksgiving weekend in Chicago for several years). I used to check out listings in "Starlog" magazine. I suppose the Net might yield some. I would dearly love to find one close and affordable enough to go for a whole weekend. The Space Trek ones in the Eighties were wonderful! 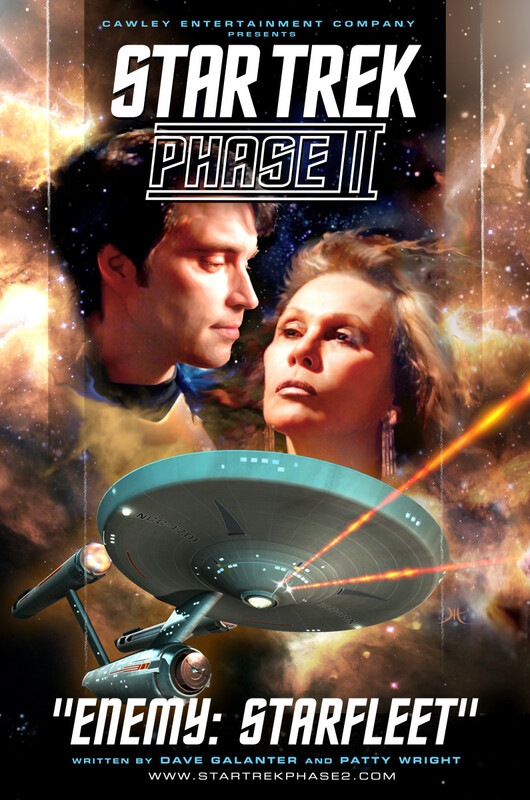 The first year, attendance was about 600, with James Doohan and DeForest Kelley. The next year, attendance rocketed to more than 3,000, especially because Leonard Nimoy was a guest, the first convention he had guested at for a number of years. Sadly, the women who organized these remarkable conventions stopped after No. 5. They definitely had a knack for making it all work and at an affordable price. If I find any, I shall return! BTW: I was in my mid-teens when "Star Trek" debuted. I immediately started writing stories and doing many sketches~some years before I heard the terms "fanfiction" and "fanzines". I remember a time when a person really did feel as if s/he was alone in the world as a fan of a series, especially one that lasted so briefly. I'm proud to be an old-time Trekkie! MystMoonstruck, nice to meet a fellow Trekkie here! Are you still in Missouri? What are the best SF cons in the Springfield area? I need to take my daughter to a really good con with a filksing, but I can't travel far, as I have a chimpanzee that I care for and the chimp-sitting fees are high. Wow! Does this bring back memories of wallcrawling and filksinging sessions! I started going to Trek conventions somewhat late, considering I was a fan from Episode 1 of the original. Then, Space Trek happened in St. Louis, which started years of con-going for me. I just added some "Star Trek" (original) items to Rhymes & Lyrics, and it showed your page as one of interest, which I'm happy it did. Greetings from an old-style Trekkie! All Teeth, thanks for adding to the value of this hub. Drop by anytime. Good to know. Well, thank you for allowing me to post my opinion and small facts here. I understandly little of why I have the urge to put random bits of information that I find pleasing in places people can see. Then again, someone reading it, could come away knowing something they didn't know before. A writer's duty, is it not? All Teeth, I agree. 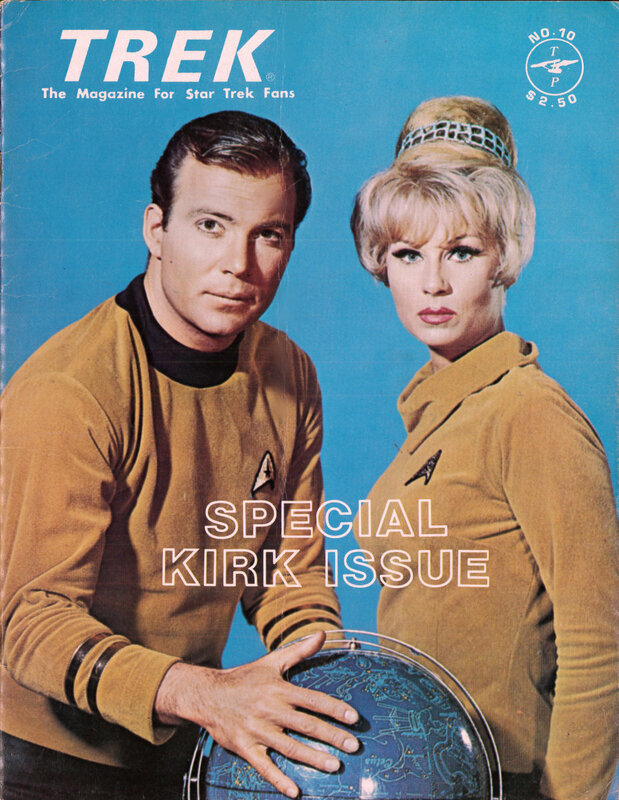 One of the strengths of the original Star Trek was its open, textured structure, which allowed viewers to read into it the issues and values that were most important to them. As for the source of the word, a cursory search supports what you say. Apparently it was Roddenberry. It has actually been suggested that that is exactly what directors and producers want you to do. Interpret for yourself. The topic has come up before with 'the powers that be'(producers, etc) and, they want the mind to be open. K/S is considered neither right nor wrong in Star Trek canon, allowing the view to think as they please. Oh, and I realized it's T'hy'la not t'hyla. I knew I was forgeting something. I do believe its discription of meaning friend, brother and lover can be found in the novelization of Star Trek: The Motion Picture, by Roddenberry himself. Unsure if this is completely true. I have never read the book. All Teeth, thanks for your comment. I've seen that word spelled t'hila, and it sounds like the Hebrew word which roughly means "praise" or "glory." I'm not sure that Roddenberry introduced this word into the Trek lexicon. I thought maybe it came from J. Lichtenberg's Kraith series of fan fic. If you have a word whose definition encompasses anything from a true friend to a lover, then clearly it could be used for either friends or lovers. So K/S is not ruled out, but not necessarily implied, leaving the interpretation up to the individual listener. Love it. Being a trekkie is awesome, especially with good filk. Speaking of which, I noticed you titled Julia Ecklar's 'For the Need of the One' The Ultimate Friendship. Fitting for the title, I would say. That song makes me cry......Anyway, here's an interesting tidbit. If you listen carefully, around the end you hear the word T'hyla. This is Roddenberry's Vulcan word for friend, brother or lover. Oddly enough, this is the word was created to describe what Spock and Kirk share. My question is, why is lover included in there? I'm personally a K/S fan and this fact makes me go all tingley inside. But does this mean Roddenberry saw Kirk and Spock as lovers on occasion? I don't see any other reason for including lover in the discription. Anyway, I'll shut my trap. Thanks for the fun music! Thanks, Shadesbreath! Higher praise than that I have never known! I will change to something other than costumes after Halloween. I did link this hub on Facebook when I first published it. Do I need to do it again? Hi, Suzanne. Thanks for the tips. I'll try to add some more DVDs and action figures. I won't delete your comment for the time being, as the issue of revenue and my hubs is still topical, although I might delete this exchange later on! Again, thanks! On your recent question about why your hubs aren't generating $$$ - take this one for example. You post lots of fun Star Trek info, but almost no merchandise, and the merchandise you do have is below the comments! Add some DVDs, action figures, books and movies higher in the body of the hub, then promote this hub and see if doesn't make a little money. Feel free to delete this comment if you want to, since it is intended to address a question from another area. Febfifth, thanks! Could I interest you in doing a music video to any of my lyrics? I'm always looking for vocalists and composers! Maggs, thanks for your comment. I'm not as keen on the Next Generation as I was on the old one. Did you watch the original series in the U.K. or the U.S.? There was a British series that I came to be a fan of in the late 80's: Blake's Seven. Did you ever watch that? I was a Trekkie long before there were Trekkers! 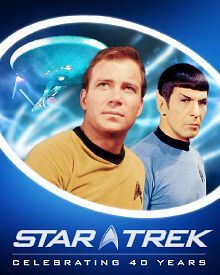 I loved the original Star Trek series and I watched them as they were broadcast in the sixties it is only with hindsight that the sets look crude and old fashioned when I watched them for the first time they seemed so futuristic and it seems I have lived long enough to see a lot of science fiction become science fact. I love The Next Generation with Patrick Stewart as Jean Luc and now I am watching Kate Mulgrew as Capt Kathryn Janeway and the opening shots of Voyager and the planets along with the music I think is beautiful. Teresa, thanks! No, we haven't seen Defying Gravity. I will have to look into it. Is it SF? Or comedy? Either genre seems possible, given the title. As for Yolanda del Rio, she's one of those artists who are not afraid of going over the top with emotional display. That Yolanda del Rio is something else, indeed. Not quite sure what! YES I admit it, I like Star Trek. But now I'm into Defying Gravity -- either of you seen it? Thanks, Aya, for this hub. Your lyrics are appropriately Trekkified; although, as you say, it's a closet performance genre.